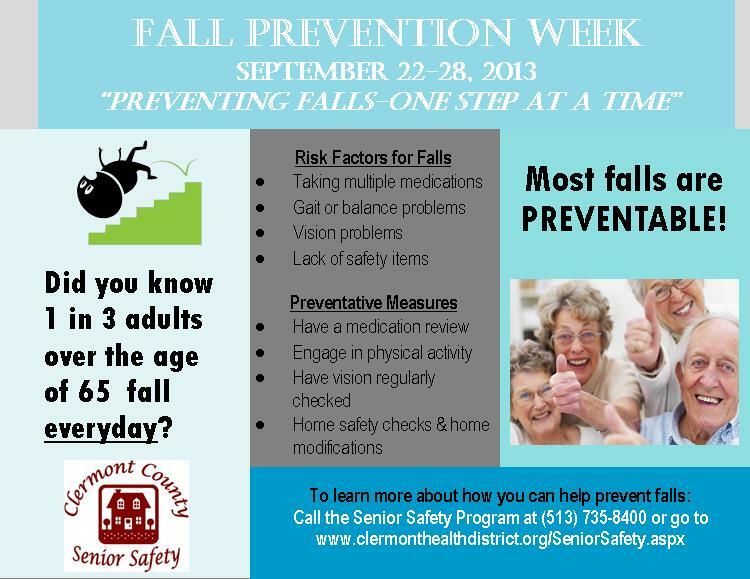 The week of September 22, 2013, has been designated as Falls Prevention Week in Clermont County. The Board of Clermont County Commissioners join the Senior Safety Program, in conjunction with the Senior Safety Coalition and other healthcare providers, in an effort to increase awareness and promote multidisciplinary strategies to prevent falls. 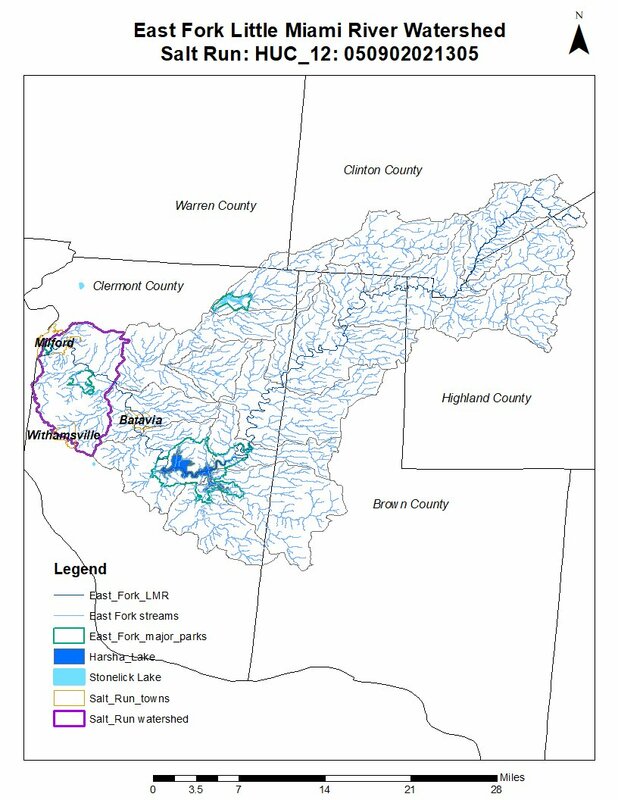 Citizens age 65 and older make up approximately 12.8% of Clermont County’s population. 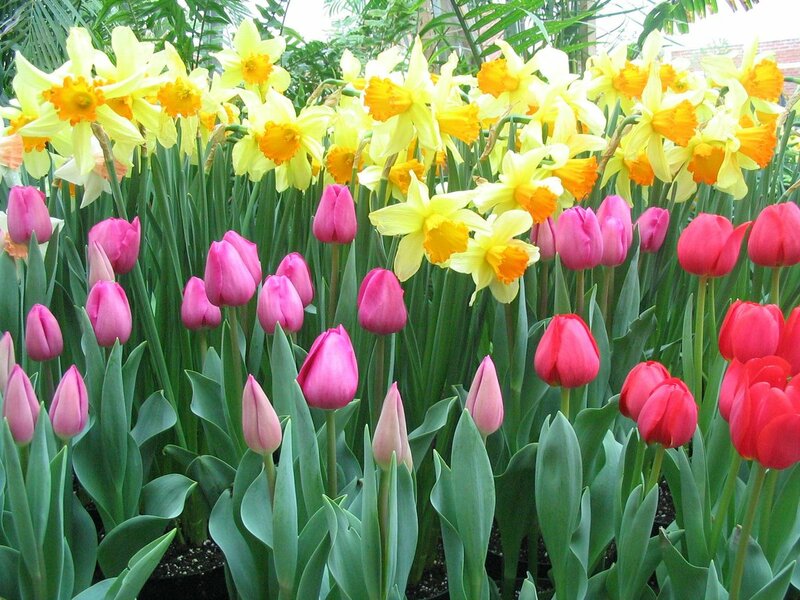 While statistics show that people of all ages take a fall, falls are especially dangerous for older adults. During 2012, over 1,009 older adults in Clermont County called 911 for fall related emergencies. 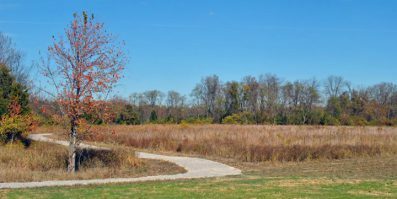 The Commissioners encourage all Clermont County citizens to learn ways to better protect those who are at an increased risk of falling. The 6th annual National Falls Prevention Awareness Day (FPAD) will be observed on September 22, to promote and increase public awareness about preventing and reducing falls among older adults. Consequences from falls can be devastating, but the good news is that we can do something about it! 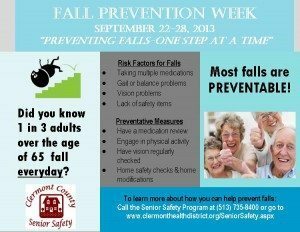 Learn how you can “Prevent Falls- One Step at a Time” by calling the Clermont County General Health District Senior Safety Program at (513) 735-8400 or visiting our webpage atwww.clermonthealthdistrict.org/SeniorSafety.aspx.